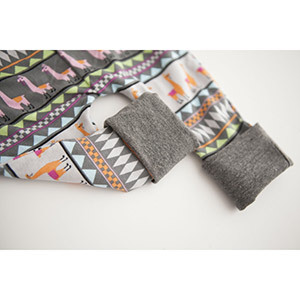 Perfect for boys or girls, the extra long leg cuffs and waistbands can be folded up to suit your baby and as they grow you can unfold to fit! This gives you more than 4" of extra length on the newborn size alone! 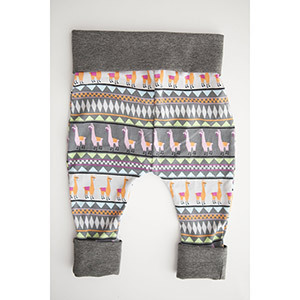 This pattern is available in sizes 0, 6M, 18M, 24M, and 2T. Suggested fabrics are cotton lycra, cotton jersey, brushed poly, ponte de roma, or double knit.